Times are a-changing. India’s underground rap scene is gradually making an appearance with artists passionately rapping about social issues. Fans in the movement have quickly favored rants placed neatly around American hip-hop beats, and addressing issues like corruption, identity crisis, poverty and human rights. 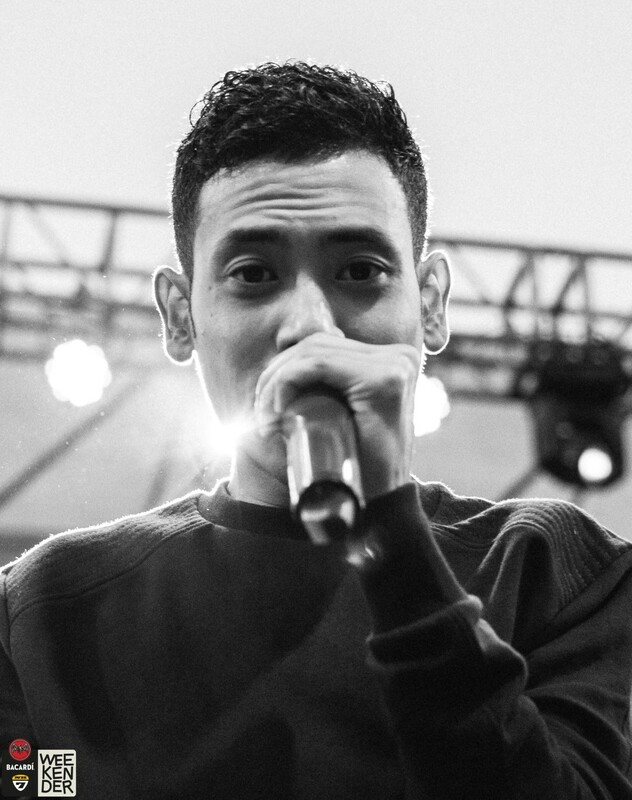 We interviewed one such stellar talent hugely popular in the hip-hop music circuit: Borkung Hrangkhawl, also known as, BK. 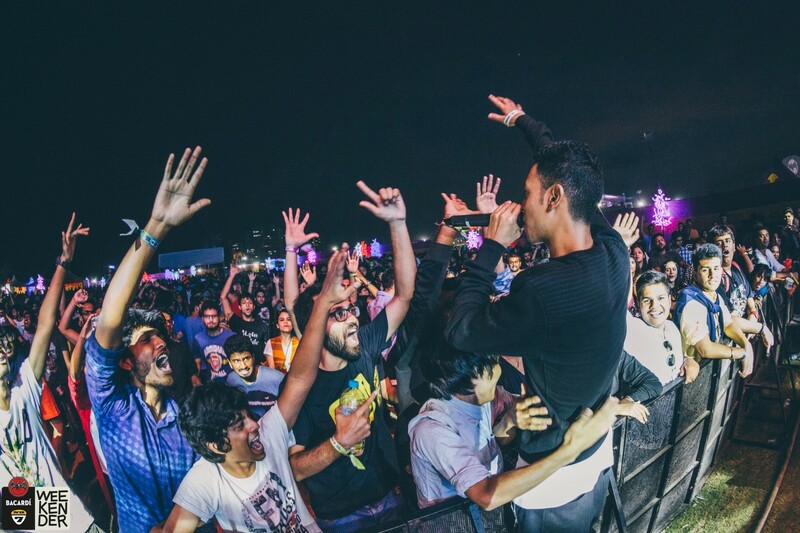 He is one of the precious few glitch hop (an intermediate music genre between hip-hop and dubstep) rappers in the country whose brave lyrics and fearless musical delivery have taken the Indian music scene by surprise. Borkung addressing a huge crowd of fans at the NH7 Weekender. 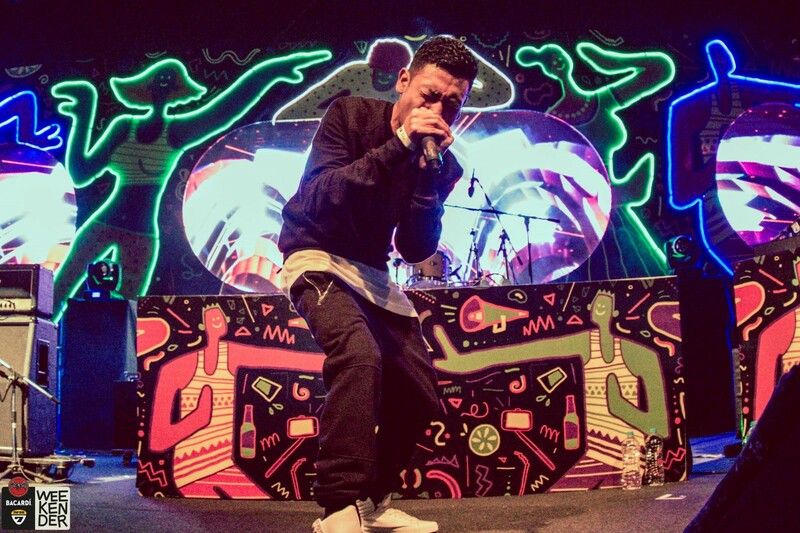 BK started out performing with New Delhi’s hip-hop group Dropsquad, and went on to release his own debut album in 2013 along with Ina (his Dj), Lima Kichu (bassist) and Emmanuel (guitarist). From winning “Superstars ” and VIMA Music Awards, to having one of the fastest spreading Indian indie videos on the internet, BK has never looked back. For an artist who is independently moving forward on a musical endeavor, BK is big on bringing other local talents to the limelight. Case in point, his most recent release, ‘Fighter’ features Naga Idol winner, Meyinungsang aka Meyi lending his voice to the chorus. In our exclusive interview with him, BK spills the beans about his musical journey, life lessons and an upcoming collaboration with international hip-hop artist, Hard Kaur. Read on. From Fighter, to Never Give Up and even Journey, we see a lot of angst in your lyrics. What moves you to write them? I draw my inspiration from my father. He isn’t a musician, but a politician who fights for the rights of Tripura’s indigenous people. It’s the need of the hour because despite having a rich historical, social and cultural heritage, my state’s tribal community has dropped to a minority status. I witnessed my father’s love and passion for our people while growing up and it inspired me to follow his footsteps. But, as it turned out, politics wasn’t my cup of tea. Instead, I decided to do what I do best: carry on my father’s legacy and tell the world about our people through music. Looks like you started out pretty young then. But why rap? You can say that. I started writing my own songs when I was 12. I was especially drawn towards rap because I found it matched the tone of what I wanted to say and how I wanted it to sound. It’s very direct and in-your-face and it works for me. I believe that rap lets you tell your story without fracturing any element. The best thing about rap is that, it’s very versatile as a genre. Whether you are happy, sad or angry you can express yourself through rap – and the emotions come out honest. Will you be a part of any upcoming events where you’ll perform live? Usually, the gigs start coming in from October until March. Nothing really concrete. By the way, I’ve collaborated with Hard Kaur on her new mix tape that’s coming out shortly. So, we’ve all got our fingers crossed. There are some other upcoming shows we’re in talks with, but they are yet to be confirmed. Some of Borkung’s mind blowing works include Never Give Up, Journey (shot in Delhi by CoreConxept) and Fighter among others. Check out one of his awesome videos Never Give Up, which was shot at various locations across Gujarat, Rajasthan, Himachal Pradesh, Manipur and Nagaland. Follow Borkung on Facebook, Twitter and Instagram. Tech Journalist. Enterprise Tech Enthusiast. Digs Indie music. Shweta also helps out as a copy editor for R&L.